Has a beautiful amber colour, a rich velvet nose and hints of flor ageing. On the palate is rich and full with roast apples, nutty oak and a long finish. 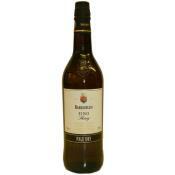 A rich and sweet but not cloying dessert wine. 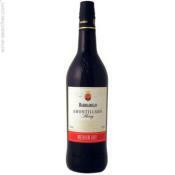 This is effectively a blend of Oloroso and Pedro Ximenez Sherries, with an average Solera age of about 8 years. This has a pale straw colour with a fresh almond nose and a wonderful dry finish. Excellent with tapas and especially salted almonds.